I provide a high-quality training service in all areas of social security and tax credits. Based in Derby I provide training throughout the East Midlands and further afield. I have recently lead events in Nottingham, Sheffield, London, Cardiff, Glasgow and Scunthorpe. As an independent training provider, I have been delivering targeted training events for 8 years. I offer a range of structured course programmes and bespoke courses individually created to meet your training needs. If you are interested in any of the listed courses, please get in touch. The in-house bespoke courses are created to meet your specific requirements making it an effective method to meet your training needs and can be delivered anywhere in the country. I am currently offering training courses in partnership with St Ann's Advice Centre, Nottingham, with 2 dates in April and June. A 2-day Welfare Benefits course looking at the while syatem 10-11th April and Personal Independence Payments 13th June. If you would like to book a place please contact St Anns on 0115 950 6867. Why Choose Leorn Welfare Rights Training Services? Each course is designed to meet your services needs. After an initial discussion, I create a unique package of training which would best meet your needs and priorities. 100% of the attendees have rated me as excellent or very good as a trainer. The courses are guaranteed to be up to date and relevant and the content can be referenced to existing and incoming legislation such as the Welfare Reform Act 2012. Training is supported by exercises, case studies and a detailed course booklet to enable on-going learning and support. Most courses have a maximum of 15 participants ensuring that everyone receives individual attention and providing excellent networking opportunities for trainees. Smaller organisations are welcome to jointly commission training. I tailor all welfare rights courses specifically for your requirements, and I write new courses to meet your learning objectives. The prices are very competitive, with discounts available for multiple person bookings and bookings of 2 days or more. Please see ‘Subject areas’ for more information. "An excellent, informative and relaxed yet very professional training session throughout." 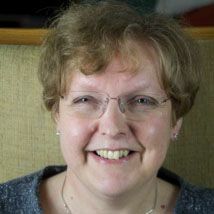 "Barbara is an outstanding tutor - extremely well prepared, with excellent delivery and a brilliant manner. A quite exceptional event."